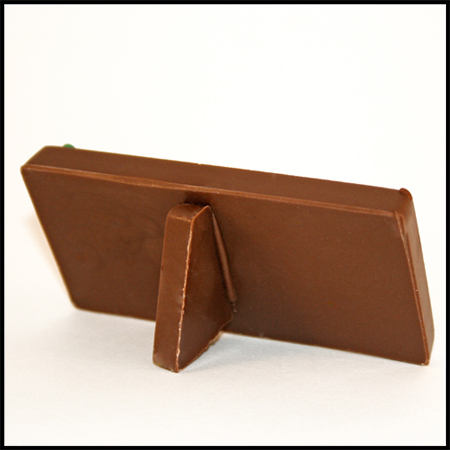 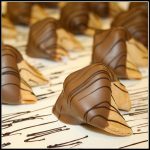 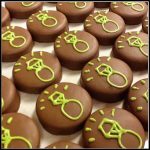 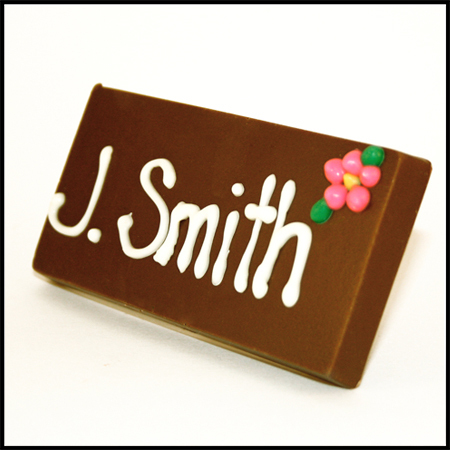 This totally edible chocolate confection is a truly creative way to place your guests at their table. 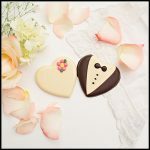 Available in Milk or Dark Chocolate with White writing or White Chocolate with Milk Writing, we will personalize each place card to suit your needs and even include a chocolate hand piped flower in the corner of each place card to closely match the wedding décor. Each is bagged to stand up on the table just like a regular placecard! 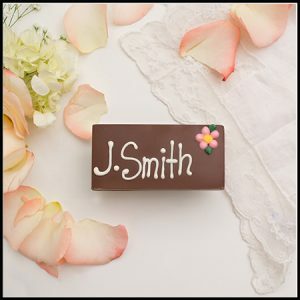 Pricing ranges from $4.49-$4.98 depending on how many lines of writing are needed. J. Smith as pictured is considered 1-line.